Jeremy Hermida hit a grand slam the very first time he stepped in the batter’s box in the major leagues, becoming the first player since Bill Duggleby in 1898 to achieve that particular feat. 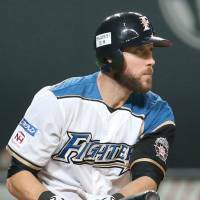 That day, Aug. 31, 2005, has been followed by a series of ups and downs, a winding career path that has led the 31-year old to Japan, where he hopes to have the same type of immediate impact for his new team, the Hokkaido Nippon Ham Fighters. Hermida, who last appeared in the majors with the San Diego Padres in 2012, is eager to get started. He’s had a pretty good start to the spring and was hitting .333 with a pair of home runs through his first 10 games. 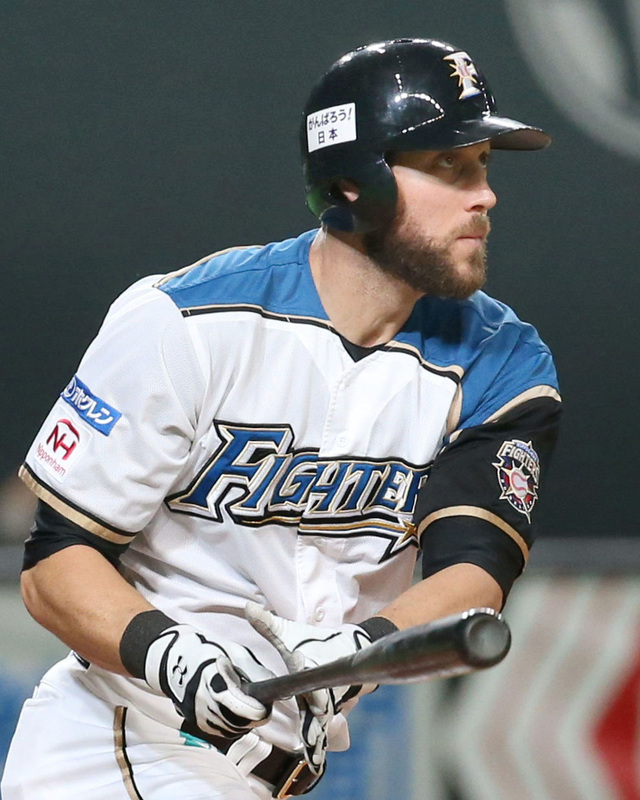 He’ll likely find himself hitting fifth as the DH (a role he may share with two-way star Shohei Otani), behind All-Stars Daikan Yoh and Sho Nakata, when the regular season begins next week. Hermida spent 2014 with the Nashville Sounders, the Triple-A affiliate of the Milwaukee Brewers. He got word Japan was an option around Thanksgiving and, after talking it over with his wife, decided to take the plunge. Hermida is a native of Atlanta, Georgia, and went to Wheeler High School in nearby Marietta. In 2002, the Florida Marlins took him with the 11th pick of the amateur draft. Baseball America rated him as the No. 4 prospect in the game in 2005, and he was a regular for the Marlins in 2007, hitting .296 with 18 home runs and 63 RBIs in 123 games. He didn’t quite remain on that level over the next two seasons, hitting .253 with 30 home runs and 108 RBIs over that span. From there he bounced around some, playing for the Boston Red Sox and Oakland A’s in 2010, the Cincinnati Reds and the Padres in 2011 and the Padres in 2012. “Everybody’s career path is different at the end of the day,” Hermida said. “It’s definitely not how I thought it would be drawn up. But I wouldn’t change it for the world. It’s definitely helped me grow as a baseball player and a person, going through ups and downs and the trials and tribulations or a career. Definitely had some hard times, and some times that were smooth sailing. But it is what it is, and I think it helps create who you are as a baseball player and a person. Hermida says the Fighters have “a great group of guys” and that the atmosphere in the clubhouse isn’t all that different from that in the U.S., just a lot of new names and faces to remember. While Hermida is adjusting to the long practices in Japanese baseball, there has been at least a little time to explore his new home in Sapporo and get a small taste of Japanese culture. “Going to eat at restaurants is always the fun one,” he said. “Trying to order, trying to figure out what you want to eat and trying to figure out what everything is, and figure out what I’m eating. Just don’t ask him to try natto, a Japanese dish consisting of fermented soybeans, just yet. It’s a favorite among many of his teammates, but Hermida passed when they offered him a taste.